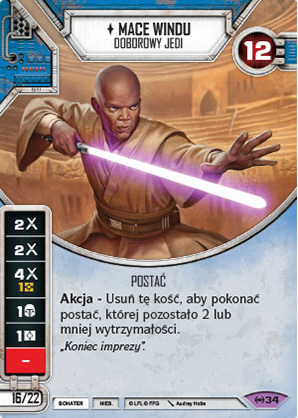 Postać - Jedi - Leader. Punkty: 16/22. Wytrzymałość: 12. Action - Remove this die to defeat a character with 2 or less remaining health.